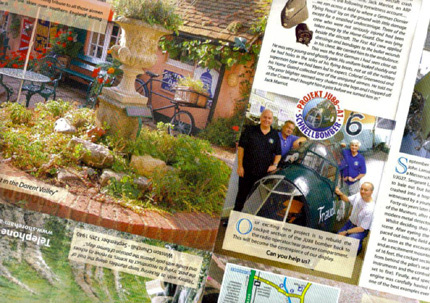 For the 2009 season, the Museum has produced a new, colourful and interesting 16 panel fold-out leaflet describing Museum activities and facilities. These also include some of the exhibits on display, the Battle of Britain Pilot Memorials Project and the Schnellbomber restoration project. If you would like one of these great new leaflets, then please send a Second Class self-addressed envelope (minimum size 110 x 220 mm) to the Museum address marked ‘Leaflet’. Anyone requiring a larger batch of leaflets for tourist/visitor centres, libraries etc. should contact the Museum. It is with the greatest sadness that we have to announce the very sad passing of Vera Nutkins, stalwart of the Shoreham Aircraft Museum Tearoom and widow of Frank Nutkins (see news archive for March 2008). She passed away on Sunday 15th March 2009 after a recent illness. 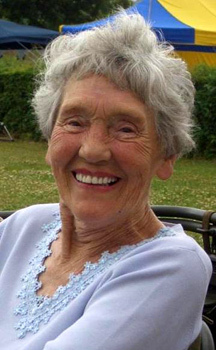 She will always be remembered fondly by friends, Museum visitors and ramblers as well as the many cyclists who stop off for a welcome break to grab a cuppa and a cake or home made scone. Vera was born in North Shields, Northumberland in 1926 and did her bit for our Country by serving with the Auxiliary Territorial Service during WW11 on the Ack-ack guns as a Range-Finder. After the war she met and married Frank Nutkins, who always reckoned she was responsible for the holes in his RAF aircraft! She really was a character, the only member of the Museum who over the past twenty-odd years saw various television celebrities in the Tearoom. These celebrities were never actually seen by anyone else, but included most of the cast from ‘Coronation Street’ and ‘The Bill’, or “that bloke in that advert“. A favourite incident recalled was when a chap ordered a cup of tea and a couple of those “Dolly Parton’s please love!” To which Vera, innocent as ever, replied “Oh, we call them English Madeleine’s” ~ the uproar was immediate. Another one was when George Cooper, twin to Henry, (who knocked down Cassius Clay) and who lives locally visited one Sunday; we told her he was Henry’s brother and Vera said to him later in the Tearoom, “Eee, you’re never that Tommy Coopers brother?” That was our Vera. No-one can ever take her place here at the Museum. She was a straight talking, sometimes dappy, lovely lady and a fantastic Mum to Geoff, the Museum’s Curator. She will be so greatly missed. 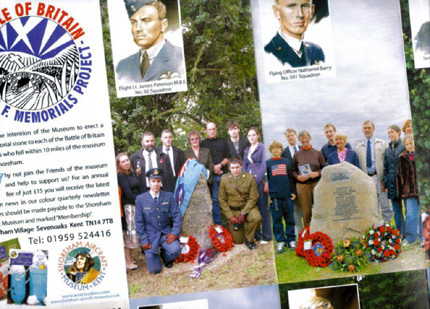 You are currently browsing the Shoreham Aircraft Museum – News archives for March, 2009.